Custom poster printing onto true matt, silk, satin and gloss in vivid, long-lasting colour. 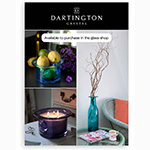 We print a2 posters, a1, a0 and up to very large poster sizes, in all finishes, for both indoor and outdoor use. 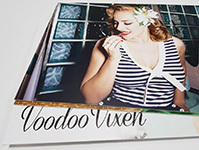 Supersize Print your own poster today and bring your photos and artwork to life. Stunning print quality on a substantial 170gsm silk matt paper at great value for money makes this our super selling poster. Gloss is boss for showing black and dark colours and our super-gloss poster does it with style on a reassuringly thick glossy paper. 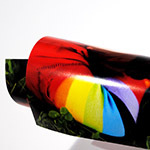 If you have a really cool image then you need a really cool paper - Super Satin Poster. Luxury feel, seductive quality, appealing price. Popular for presentations and table plans, this poster board will stand up on its own on an easel. 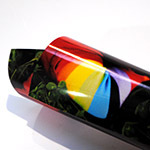 It is also light enough to be stuck to an exhibition wall, giving the appearance of a solid board without the weight. 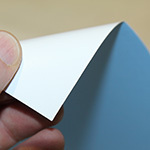 A 120g White pastable paper with a blue-back (for bill board pasting) printed for indoor and outdoor use. This paper is blue backed to hide shaddows showing through when sticking over previous posters on billboards. Weather resistant. 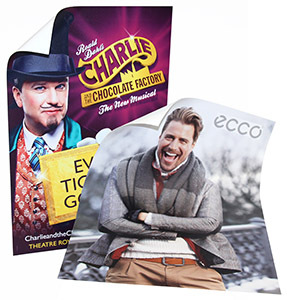 Our posters are printed onto a thick, strong paper as standard but with the addition of these laminates to the printed surface of your poster the result is extremely durable and tear resistant. We also offer the option of a complete scuff resistant laminate here. Your photos are precious so we offer only the finest luxury papers here for true photo-grade reproduction that will get your budding photographer foaming at the mouth! In some situations you need a poster to stand to attention and not flop down for a rest, or maybe you just want that perfectly flat look to enhance your image. This card poster is both thin and rigid and is also kind to the environment being a completely paper-based card.